Even 3 year olds can do amazing things. | ECHOage - Get great gifts. Give to charity. Even 3 year olds can do amazing things. This year for his 3rd birthday, Ray did something really amazing! 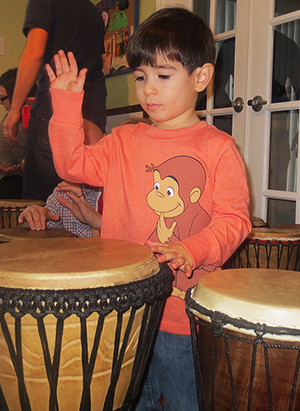 Not only did his ECHOage birthday gifts go towards a brand new set of bongos and day camp this summer but he supported the Montreal Children’s Hospital making a difference in the lives of so many children. Ray’s drumming party with Rhythm Exchange was a total blast! Ray was in heaven and his friends loved the party. Ray, you are making some wonderful noise, on your drums and in your world. We can hear your message loud and clear: Kids can do amazing things! Wishing you a wonderful birthday from everyone at ECHOage.com!